Today, let’s take a look at what markets expect at the Royal Wedding. 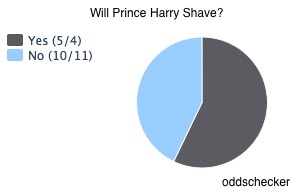 Our focus will be what betting markets are predicting for the Queen, Prince Harry, and Meghan. But really, we are considering the wisdom of crowds. Oddschecker describes itself as a “comparison service” that aggregates the odds at different bookmakers. Seeing that the NY Times used their numbers, I assumed they were sufficiently dependable. And, for those of us who are unfamiliar with reading the odds, we just need to know that a 4/1 means for every one unit bet, 4 is returned if you win. Similarly, with 7/1, you get 7 back for each unit. Here, the crowds think that Whitney Houston or Elton John will sing the first song. 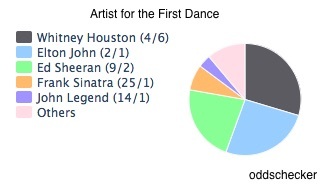 Near the bottom of the list in “Others” are Spice Girls and Shaggy. Meanwhile, bettors thought there was a small chance that Megan would get the order of Prince Harry’s names wrong during the ceremony. The numbers also indicated it was unlikely that she wouldn’t show up. As for the menu, guests can expect duck but not chicken. Adam Smith would have said that markets composed of many individuals are much better at determining price and quantity than one person. Similarly, in The Wisdom of Crowds, former New Yorker columnist James Surowiecki explains that crowds accurately price sodas and tennis lessons. He cites studies that show why together we can estimate the number of jelly beans in those huge glass jugs. And we know that financial markets give us information about the value of commodities and the future of the economy. 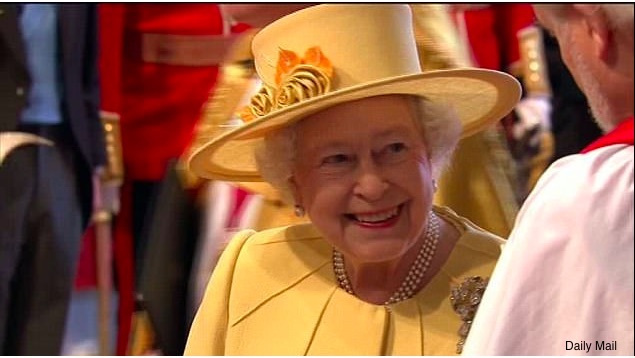 So let’s check tomorrow to see if the “crowd” was right about the Queen’s hat. My sources and more: Having looked at opinion markets for elections and Oscars, I thought the betting on the royal wedding, here and here, would be fun. From there you might want to look at the academic side of betting. But, if you just want more on the wisdom of crowds, James Surowiecki’s book is excellent. 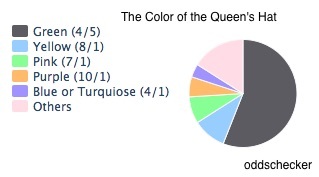 Please note that Oddschecker switched the blue/turquoise and yellow slices in their graph. Thanks once again, Elaine, for an enlightening economics lesson. By the way, I lost all bets!